The $20M NRG COSIA Carbon XPRIZE challenges teams from all around the world to develop innovative approaches to convert CO2 emissions from fossil fuels into valuable products. The competition will help identify the most promising pathways for CO2 conversion and prove which technologies can be deployed at power plants and other industrial facilities. The CarbonCure Team as one of ten finalists that has advanced to the third and final round of the competition will demonstrate its technology over a two-year period. Two Grand Prize winners will be announced in March 2020. Visit CarbonCure’s XPRIZE page to learn more. The Ernest C. Manning Awards Foundation celebrates and rewards Canadian innovators whose innovations are commercially viable, support provincial and national economies by creating jobs and wealth, and position Canada as a global competitor. In 2016 CarbonCure’s CEO Rob Niven was awarded the Ernest C. Manning Innovation Award in the environment category. Rob was recognized for his accomplishment in bringing to market the CarbonCure Technology and its accompanying innovation that allows the concrete industry to improve its product, while reducing its environmental impact. 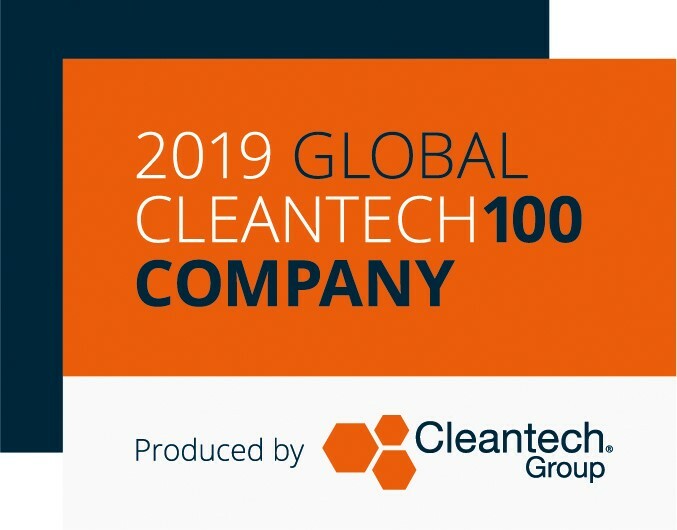 CarbonCure has been named as a member of the Global Cleantech 100 for the last four years. This year, a record number of nominations were received: 12,300 distinct companies from 61 countries. These companies were weighted and scored to create a short list of 312 companies. Short-listed nominees were reviewed by Cleantech Group’s Expert Panel, resulting in a finalized list of 100 companies from 18 countries. BloombergNEF is a leading provider of primary research on clean energy, advanced transport, digital industry, innovative materials, and commodities. Powered by Bloomberg, the global business and financial information news leader, the New Energy Pioneers program is sponsored by BloombergNEF and Cycle Capital Management. This year marks the ninth edition of the BloombergNEF New Energy Pioneers competition. This year’s 10 winning companies were selected from a pool of more than 185 applicants from 35 countries, and reviewed by an independent panel of industry experts. Candidates were evaluated based on their company’s potential scale and global impact, their level of innovation and the momentum their business has gained within their market.